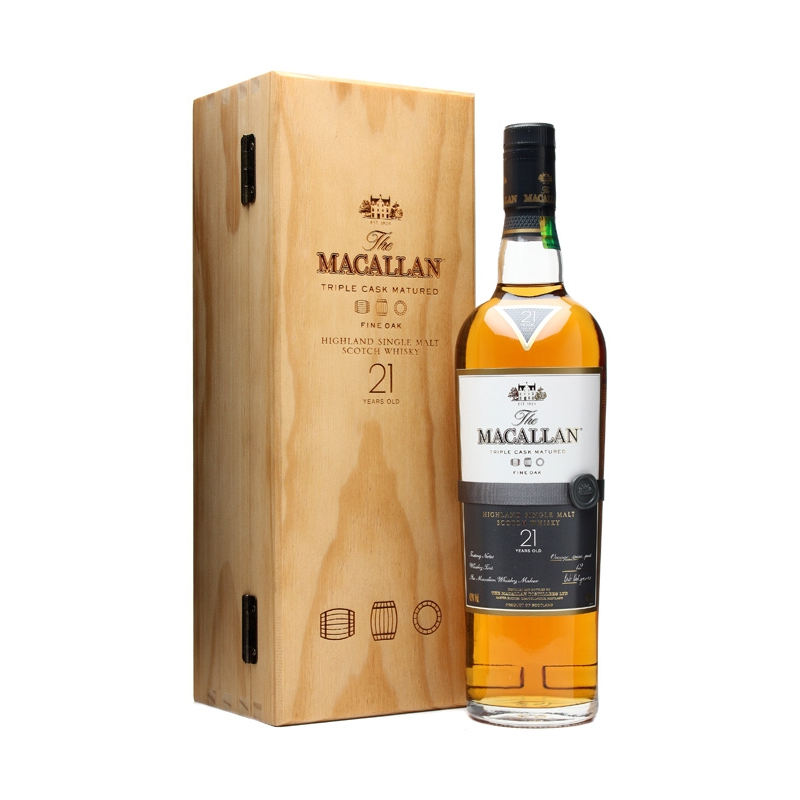 Introducing the the stunning 21 Year Old expression from The Macallan Fine Oak Range. Matured in a combination of both ex-sherry and ex-bourbon casks, the Fine Oak series showcases a lighter style of Macallan than the Sherry Oak, with a little more distillery character apparent. A spectacular Speysider, the 21 year old expression is described as "The Age of Maturity". "A cracker, typical of old (and older style) Speyside. 9/10" - Dave Broom, Whisky Magazine. Nose: Intense and rich with a hint of vanilla and passion fruit. Palate: Soft, rich and spicy with a hint of oranges and peat. Finish: Lingering with a hint of wood smoke.